Considering how meticulously posed, filtered, and curated our Instagram feeds are these days, it can be tricky to glean what a person's life is actually like just by glancing at the photos they post. But what if there were hidden signs in a person's Instagram that unintentionally revealed, say, how happy or sad they really are? 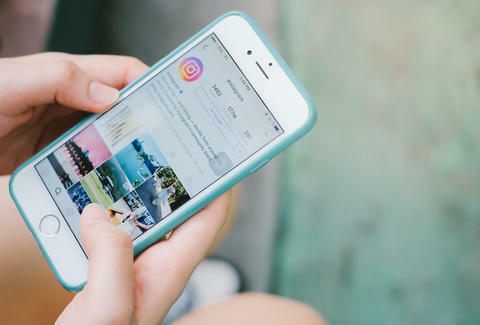 Turns out, according to a new study, what you post on Instagram -- from the filters you use to the number of comments you receive -- actually says a lot about your mental health. This study from researchers at Harvard and the University of Vermont (which has yet to be peer reviewed, by the way) analyzed over 44,000 Instagram photos from 166 individuals -- a mix of people who had and had not been been diagnosed with clinical depression by a professional. 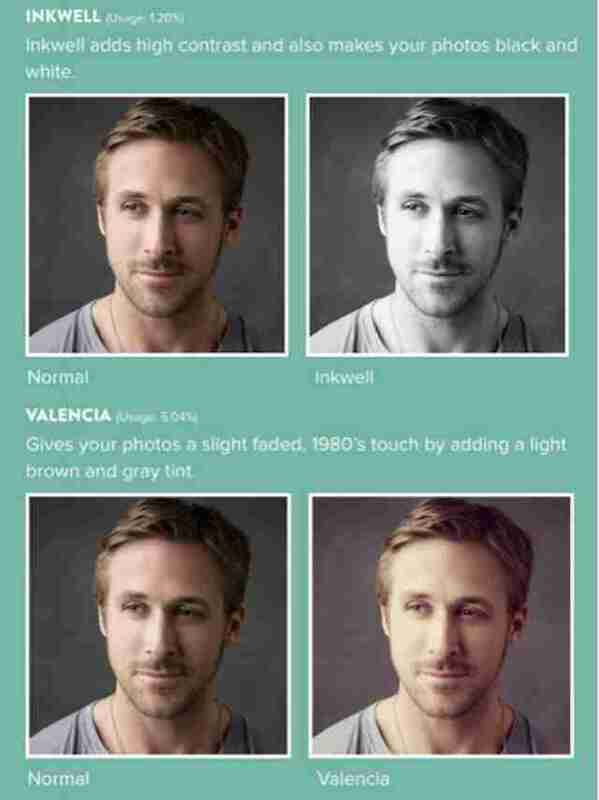 A software program analyzed the differences between depressed and non-depressed users' Instagrams, measuring things like brightness, colorization, vividness, and the number of faces in each photo to determine what kinds of qualities were common between the different groups. The results are revealing to say the least. The study found that users with confirmed depression usually posted bluer, darker, and more faded images. They were less likely to use filters than non-depressed users, but when they did, they favored "Inkwell" over any other, with "Crema," "Willow," and "Reyes" rounding out the top four. Conversely, non-depressed users preferred "Valencia" and posted images with warmer tones. Interestingly, depressed participants were more likely to 'Gram photos with faces in them, but usually of just one or two people -- so, more selfies or photos of individuals, and fewer shots with large groups. The researchers also discovered that the more comments a post received, the more likely it was posted by a depressed participant. On the other hand, a higher number of likes signified it was posted by someone who wasn't depressed. Now before you start surveying your friends' Instagram feeds looking for recurring blue-hued shots, a second analysis was done by a group of participants who were asked to rate the photos on a scale of one to five, based on how sad, happy, or likable they were. Turns out, humans were incredibly unreliable predictors -- only the computer program could properly determine the differences. The study's authors also point out that despite their findings, a person's behavior on Instagram should not be used as a test to diagnose people suffering from depression, but rather as a way to screen for individuals who might be, and prompt them to get treated earlier than they might otherwise. Joe McGauley is a senior writer for Thrillist. For the record, he's a Mayfair guy.